Since about 2004, I have become aware that I am able to read the earth’s energy lines and also what is underneath it. I travel through landscapes like the Karoo, and then I find myself, seeing the landscape as it was millions of years ago – and then start talking to geologists and read up about it…. 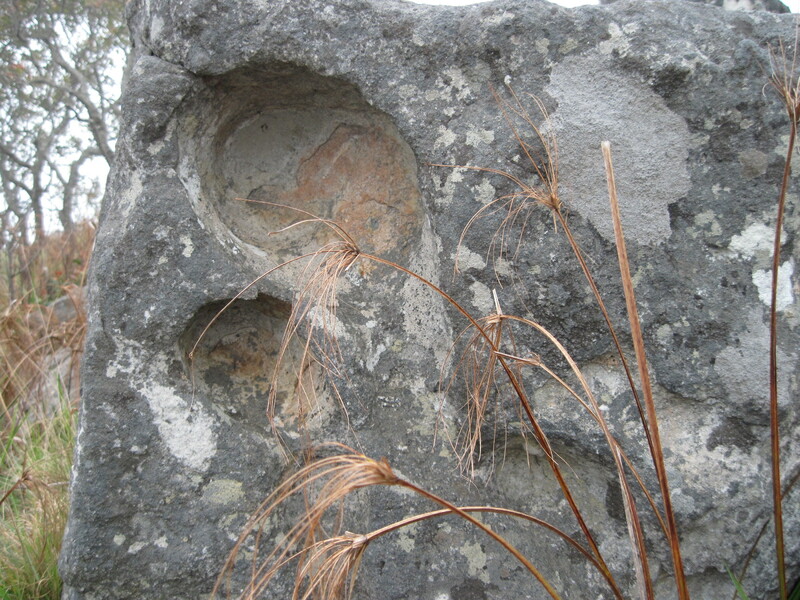 Only to discover that what I have seen is then affirmed by geologists in their own way. This part of Africa, for instance goes back 40 million odd years….. Yet, the historians wish to say that life at the utmost goes back to the civilizations of Babylon and Egypt. Yet here in South Eastern Africa, life is far older than that, and Michael Tellinger and others, have now dated some of the stone circles and ruins as going back at least 250 000 years. Around 2004, I asked myself the question why I was born in Africa. What was then revealed was at times mind-boggling, and I have learnt to record what had been given, and then learn to absorb this, first and foremost from the HEART and NOT from the mind – for my mind cannot take it all in…. My heart and soul though knows, because my soul is immortal and does not live within the extreme limitations of my physical form and my physical mind. I have learnt in all these years, not only to write down and record what has been given, but to keep my camera and journals with me at all time. I often would be led to places without having any idea what I was supposed to be doing there, and then found myself suddenly downloading information regarding the landscape and the civilizations which were here before. In the beginning I used to rely heavily on what has been written and recorded before, and then found a sense of peace in knowing that there had been others who had recorded things, and maybe left this part of Africa out of the equations. I remember reading Thor Heyerdahl for instance, and his research and travels in on the Maldives Islands, Mauritius and Zanzibar, for instance where exactly the same type of step pyramids are found, which are found in Mexico. Another who goes into this is someone like Graham Hancock, etc. Yet, all seem to do then to Egypt, Babylon, Mexico and Peru and poor south-eastern Africa is lost in the equation. I sat for hours wondering about that. Geologists have for so long said that in the beginning there was ONE single LANDMASS, so South America, Antarctica, the Island offshore of Africa, which includes Madagascar, Sri Lanka, and Australia and New Zealand, all link up, for here where I am living examples of life in the Salt River have been found, which not found elsewhere in Africa, BUT IN AUSTRALIA AND SOUTH AMERICA and here the landmass was torn off and the mountains here were pushed up by immense inner earth activity. I do not wish to go further into these stories, for they are a story on its own. Suffice is to say, that this part of Africa, is the oldest, the Cradle of Mankind in so many ways, and it was not the Neanderthal who was the first inhabitant here, not the San people, but in fact there were much older civilizations who have left their fingerprints here in this part of Africa IN THE LANDSCAPE and only those who open themselves to journeys of inner initiations in the Mysteries, will be allowed to read them – so carefully was this hidden. When the first settlement on this planet occurred, THOTH and his twin flame SESHAT, (and by the way, he goes under many names, like Merlin and Hermes), laid down the WEB OF LIGHT and the ley lines of the planet. The portals, were these lines crossed, had vast CRYSTAL PYRAMIDS built on them and at first there were 12 massive ones. All interlinked and formed one massive and powerful ENERGY GRID AND ENERGY VORTEXES and thus ALL HAD NATURAL ENERGY TO TAP INTO FOR THEIR SPACECRAFT AND FOR THEIR ABODES AND TEMPLES (a lot of smaller pyramids were built over time). The landmasses which then were separated, like South America and Australia, still had some of the ley lines and the web of light intact, but over time, the next generations who came in had to do massive repairs on them. In the meantime other vast civilizations them came to the fore: MU AND LEMURIA and ATLANTIS…. All of these then followed the same destructive patterns and started destroying themselves, with the end result of more landmasses sinking under the sea. In my studies and revelations of these lines and web of Light I have found that there is a whole science here waiting to be discovered – yet the planet is not ready for this yet. At this moment in time, there are two places on Earth which need urgent attention and which need healing, one in Africa, and one in Australasia. A lot of us are souls who are here on SPECIAL ASSIGNMENT – meaning we have knowledge and technology which we need to start tapping into and using in order to start repairing these lines. In my soul readings lately this has come very much to the fore. We all are interlinked through time and space and we have come in to assist the whole revolutionary progress of bringing this planet into balance once more and then to assist with the repair of the Web of Light. I know my soul was involved with this in the beginning of time and is here to do just that. We have to learn to step out of boxed in thinking and the sheer confines of the mind and all the programming and control mechanisms which have been placed there to make us forget who and what we truly are and what we have come here to do. We can only remember, once we learn to go back into the space of HEART and learn to open up our third, to 12 inner eyes and learn to tap into the vastness of the SUPERCONSCIOUSNESS field again. This too is now getting activated in certain individuals who have been handpicked to the task…..
Crystalline Portals – New Chakras, sacred geometrical forms, energies. Within the cosmic energy fields there are certain crystalline patterns, which some of us know or are familiar with as sacred geometrical shapes and forms. In essence these are certain blueprint patterns and forms which the whole of Creation reflects in some form or another. In the creation of crystals the same patterns and forms are repeated – indeed in our own human form and in all other life forms. Crystalline forms within geometrical patterns, also have encoded within them certain COLOURS and these then bring in VIBRATIONAL healing which works then with the sacred geometrical form and the vibrational healing frequency of that colour. Add to this SOUND and HIGHER HEALING STEPS IN…. 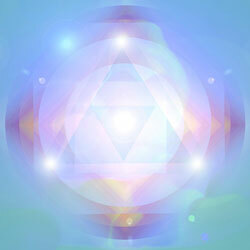 When we open up our HIGHER chakras, and more and more of our latent chakra systems are getting activated now, from 12, 24, 36 to the eventual 72 and if one’s quest for immortality reigns supreme eventually 330 chakras are opened up: – we open ourselves up to ENERGY WHEELS INCORPORATING THE CRYSTALLINE PATTERNS AND SACRED GEOMETRICAL SHAPES. In fact they move in groups of 12 – and once we have reached a certain platform we reach a portal, through which we have to step in order for the next 12 to be activated. So, if in meditation you see your higher guides working with what looks like energy wheels and the colours pouring or radiating out from this, and then flowing in an double or multiple strand helix around your upper body and then moving down into your lower body, this means that these COLOUR RAYS are now being assimilated into your chakras and then your AURIC field and then into your other bodies – also the physical one. You do not just have ONE physical body, in fact you have into 12 bodies, and each body incorporates a different frequency of vibrational octaves of the life-giving energies. Your physical form might not KNOW or SENSE these other forms, but they exist. You can, the higher you go in obtaining mastery, start moving between these forms, which means you can literally up your frequency rate by stepping into the higher bodes and then become INVISIBLE to others or move between walls and also teleport yourself. These are all techniques we have forgotten. In Celtic tradition this was called SHAPE-SHIFTING – we all are capable of this in one form or another and might even be doing this, without our knowledge. I have experienced this myself sometimes, when I had to step up and into my higher state of consciousness, and I know I do this when I tap into the super-consciousness field in order to do soul readings. In normal consciousness I cannot just do that – I have to go into an altered and much higher frequency rate to be able to do this. (This is NOT a trance state – it is merely switching between the bodies and then stepping into the much higher frequency band of the extended SOUL). Another way I experienced this, is when I had to stand in my MASTERY in order to open up a massive portal – it was not the conscious me – but the HIGHER CONSCIOUS ME which IS IMMORTAL. 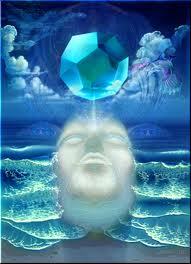 THUS I WAS IN MY MASTERY: THE I AM WHICH MY SOUL IS IN THE HIGHER DIMENSIONS OF BEING. To come back to the energy wheels…. A lot of people, when they start seeing or sensing this via their third eye, shut down, because they do not know what is happening to them and then get scared. The best thing to do, is when you start seeing this, to totally surrender your ego and ask for your HIGHER SOUL SELF to step in and then to invoke Archangels Raziel and Metatron to step in and assist the process of assimilating these crystalline forms and energies into your 12 bodies. Your own extended blueprint and 12 bodies incorporate a massive space around you – in fact if you would step into all 12 bodies at once, you would take on a giant form and be immensely powerful – too powerful to sustain life on this planet because your body at this stage has not been able to incorporate all these bodies and is still in the birthing stage of remembering how to BE this. In these next months and years those of us who are ready will find that we will have abilities, talents and know-how returned to us via these crystalline energy wheels being reactivated. I see this as staircases to heaven – literally, for like you go up in the musical scale to reach the higher notes, so your whole being is stepping up now in frequency bands and you will start remembering more and more the TRUTH of who and what you are – thus your expanded soul self. I get feedback from all over the world from those I have done soul readings for. In the first instance when they are suddenly reminded of what their soul TRULY IS and what they are CAPABLE of being, they shrink ….. Or they say, yes, deep down I have always known this… They are stunned… Then after some months they come back and said to me: – now that I know this incredible things have started happening… I am so much clearer about my path and my memory bank is getting triggered…. We all have these amazing talents and abilities and we have forgotten how to use them. Now we are stepping into the time when mankind NEEDS this know-how again, and we ARE the ones who will have to go through this WHOLE PROCESS OF REACTIVATION OF OUR CRYSTALLINE PORTALS IN ORDER TO TRULY ANCHOR IN THE NEW GOLDEN AGE. The more we open ourselves up consciously to receive the blessing of these higher crystalline patterns, forms and colour rays to work with us and through us, the more we will get activated and we are asked to truly open our hearts and souls, so that we can assimilate them unencumbered. It is a process and whatever serves us no more – in other words, that which is blocking these energies in stuck emotions, or whatever else, will start disintegrating and changing form, until we have assumed a whole new bodily energy system which is totally in synch with the Higher Soul Self and its vibrational frequency. This is truly a miraculous time we are living in and one which is truly changing us inside and out to very core!